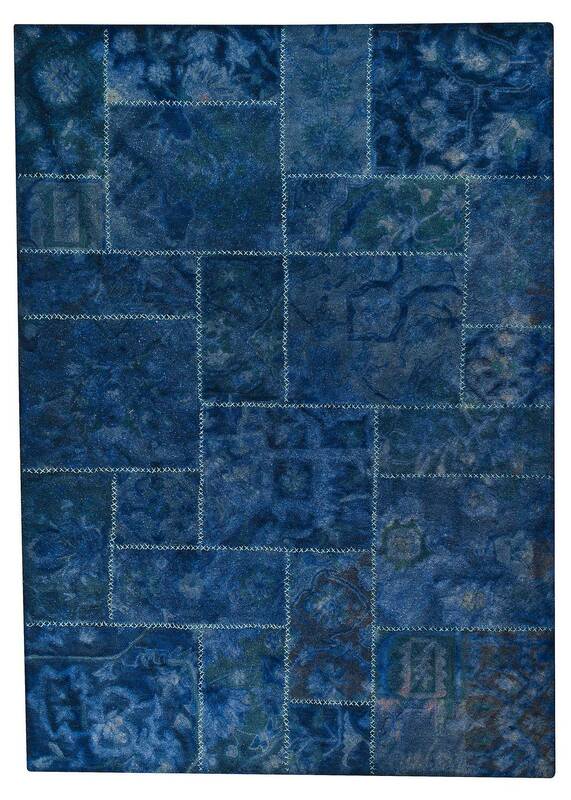 MAT Vintage Sarangi Area Rug - Blue - Swatches may be available. Hand Tufted. Vintage is made in a patchwork style much like vintage leatherworking, the Sarangi Rug is a enrapturing addition to any styled space. 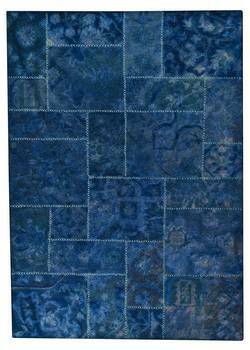 A brilliant design motif shows through the dyed wool in a most interesting manner. 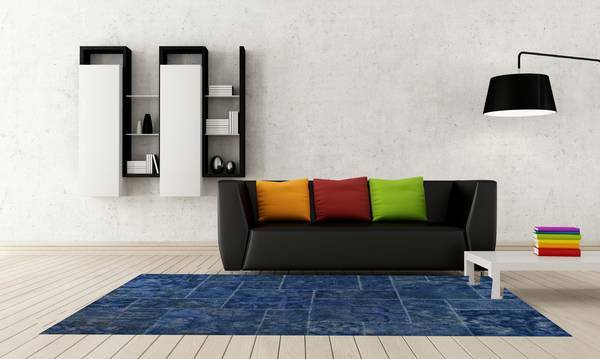 This modern rug is available in a multitude of color options to accommodate your room design projects, and multiple sizing options. Hand woven by artisans, this high-quality floor covering is truly enchanting. Hand Tufted with 100% wool, Re-dyed/Over-dyed left out yarns, handmade, handstitched. Geometric design. 100% wool, Re-dyed/Over-dyed left out yarns, Handmade, Handstitched. Re-dyed/Over-dyed left out yarns. Handmade, Handstitched. Pile height is .5 inches. Made in India. MAT Vintage Sarangi Area Rug - Blue 5'2"x7'6"
MAT Vintage Sarangi Area Rug - Blue 6'6"x9'6"
MAT Vintage Sarangi Area Rug - Blue 7'10"x9'10"